I have never in my life had my makeup applied professionally. When I graduated from high school, the cost of dinner tickets, my dress and my hairstyle added up so quickly that I just couldn’t bear to ask my mother to cover another expense. When my husband and I were married, the ceremony was in the marriage commissioner’s apartment with a grand total of two guests in attendance. I have enjoyed many monumental events in my life, but somehow none of them have included professionally applied makeup. My own daily cosmetic routine is as simple as possible because, quite frankly, I lack both the skill and the time to create a truly memorable makeup look. Or so I thought before I was introduced to ecoTOOLS’ fantastic eco-conscious brushes and new instructional videos. EcoTOOLS, a division of Paris Presents Incorporated, is a wonderful company that provides professional quality, earth-friendly cosmetic brushes designed to help women achieve the polished looks they crave while still respecting the environment. Their brushes are composed of bamboo handles, recycled aluminum ferrules and incredibly soft, cruelty-free taklon bristles. The entire collection of cosmetic accessories and bath and body products is known for its use of innovative and earth-friendly materials. 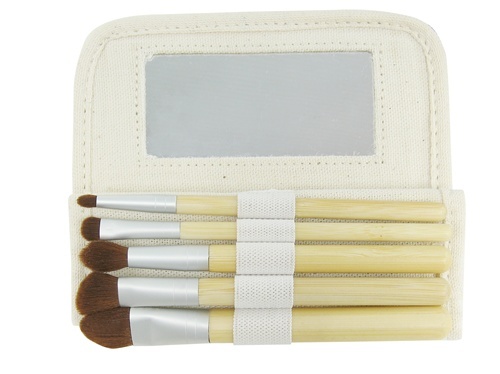 The new ecoTOOLS 6 Piece Eye Brush Set contains every brush a woman needs to create the perfect eye look in a gorgeous and convenient mirrored hemp and cotton case. The new instructional videos featuring celebrity makeup artist Meridith Baraf provide step-by-step directions that, according to ecoTOOLS, would allow any woman to create professional makeup styles with ease. Each of the videos walks the viewer through one of four popular looks, the flawless face, the cat-eye, the touched-up day to night face, and the smoky eye. I have always both longed for and feared the smoky eye, so I decided to focus my efforts on mastering that look. The ecoTOOLS video was fantastic at explaining why each step in the smoky eye was so essential. I had never before known how important blending was in creating the perfect smoky eye. The conveniently labeled Smudge Brush was specifically designed to blend liner and eye shadow to get a great smoky effect. Once I had blended my black liner and shadow, I used the Large Eye Shadow Brush to apply a light dusting of the same black color to my entire lid. The shape of the brush was perfect to ensure a light application and achieve the gradiated color the video instructed. The final step of the smoky eye was to take a medium shade and apply it just under the lower lash line. I used a coppery color and the Petite Eye Shading Brush. I loved the brush’s flat, thin design. The unique shape made it perfect for a quick and effective application of shadow below my eye. To finish the look, I used black liner to lightly line my bottom lashes and added mascara. The second my husband walked through the door, I ran over to gauge the finished look. “Wow,” he said softly. That one word was enough to satisfy me, but the repeated glances he kept shooting me for the rest of the night provided further confirmation that the look was a success. Even better, I also thought that I looked great. Every time that I glanced in the mirror, I felt like I was looking at an exotic stranger. The deep shading added dimension to my face and brought out my light brown eyes in a way that I had never seen before. There were moments that I had trouble believing that the face in the mirror was mine! I followed the video tutorial once more before attempting to do the smoky eye on my own. Since the look requires four different brushes from the ecoTOOLS 6 Piece Eye Brush Set and three colors of eye shadow, I wanted to be sure that I had it right. Fortunately, the labeled brushes made it even easier to master the look. My first unassisted smoky eye came out picture perfect. I used three of the four shades in a matched eye shadow compact to achieve my smoky eye because I wanted to be sure that the colors complemented one another. While any black, white and copper shadow would probably give similar results, novices like myself would probably find that they are more comfortable with a similar kit of complimentary shades. I found that using the shadows with the specifically designed eye brushes created a look that I absolutely loved. I also received ecoTOOLS’ fantastic new Bamboo Bronzer Brush. This incredibly soft brush is packed full of bristles and is designed to easily and properly apply bronzer to the face and neck. While I loved using it as directed for a sun-kissed glow, I also found that the full head of the Bamboo Bronzer Brush was a great way to apply a subtle touch of body shimmer to my neck and shoulders when I wanted an extra bit of glamour. All in all, I was absolutely thrilled with the results I was able to achieve using the ecoTOOLS brushes and the fantastic step-by-step videos. I may never end up having my cosmetics done professionally, but fortunately that’s not something I’m concerned about any longer. Thanks to ecoTOOLS, I know that when any other special events roll around, I’ll be able to celebrate them with a completely enviable professional quality makeup look. For guaranteed head-turning style that still respects the earth, there’s definitely no better choice than ecoTOOLS! My entire family absolutely loves takeout Chinese food but I am far too stingy to budget for it very often. Because we live in a small town without a Chinese restaurant, getting takeout is a matter of ordering, getting the family ready, driving twenty minutes to the nearest restaurant, picking up the food and driving back home. Between the cost and the hassle, having Chinese food for supper just wasn’t worth it. Fortunately, I absolutely love to cook. I decided that instead of depriving my family of delicious Chinese delicacies, I would learn to make favorites like chicken fried rice, ginger beef and vegetable stir fry at home. I searched numerous online sites and tried many recipes until I had accumulated the necessary skills and knowledge I needed to make food that tasted just as good as any Chinese restaurant. Aside from having the right recipes, there are many tips and tricks to good Chinese food. For example, fresh ginger and garlic are an absolute must for authentic Chinese flavors. While both are available in bottled, pre-minced form, the strength of the bottled varieties destroy the delicate flavors of most Chinese dishes. While some tips differ from recipe to recipe, one thing is a requirement of every recipe. Extremely high heat is a must for proper Chinese cooking. Unfortunately, commonly used cooking oils like canola and sunflower tend to burn at high heats. Butter is completely out of the question. While I was making acceptable Chinese food at home, I knew that the quality of the dishes was suffering because the canola oil I was cooking with just couldn’t stand up to the heat. So when Tropical Traditions gave me the chance to review their Gold Label Virgin Coconut Oil, I leaped at the chance. While coconut oil has been hailed by many as a secret superfood in recent years, I had not previously used it for any type of cooking. I had, however, done some research into the various uses and benefits of coconut oil, and one of the benefits that had stuck in my mind was that coconut oil, unlike most vegetable oils, was resistant to mutations of fatty acid chains when used in high temperature cooking. While I didn’t fully understand the science behind the research, I didn’t have to be a scientist to know that the smoking canola oil that left a black residue on my cookware was probably not especially healthy for me. When I received the Gold Label Virgin Coconut Oil, I couldn’t wait to put it to the test. I immediately stocked up on ingredients and planned my family’s favorite Chinese meal of ginger beef and chicken fried rice. I chopped vegetables and meat, cooked and cooled rice and ensured that everything I needed was close at hand. Then I put the cookware on the stove, turned the burners to maximum and spooned a few tablespoons of oil into each pan. The smell of Gold Label Virgin Coconut Oil was the first thing that I noticed. The oil has the most rich and delicious aroma I have ever experienced and it increased my anticipation for the coming feast even more. I loved the soft yet solid texture of the oil. Because the oil solidifies below 76 degrees Fahrenheit, it was white, firm, but still easy to scoop when I stored it on a shelf in the cupboard. In the pan, it quickly melted to a pure and clear liquid oil. The difference between Gold Label Virgin Coconut Oil and canola oil at high heat is like night and day. While canola oil all too quickly began to smoke and burn when I cook Chinese food, the coconut oil stayed crystal clear from beginning to end. Since the oil was able to resist the high heat so effectively, I was actually able to use less oil than I did when using other vegetable oils. The food looked absolutely fantastic, and we sat down to eat eagerly. I had been amazed by the effectiveness of Gold Label Virgin Coconut Oil for cooking, but that was nothing compared to fantastic and exotic flavor that the oil imparted to the food. The tropical aroma of coconut permeated every grain of rice and every morsel of beef, blending beautifully with the classic flavors of ginger, garlic and soy sauce in the two dishes. My husband and I were both blown away by the huge difference using Gold Label Virgin Coconut Oil had made. I knew I would be using the oil for many more dishes in the coming weeks. Since my first successful meal, I have used Gold Label Virgin Coconut Oil in every dish possible. I have used it to fry potatoes for a quick and delicious afternoon snack and to make pancakes for a fancy weekend breakfast. I love putting a few teaspoonfuls of Gold Label Virgin Coconut Oil into a pot of rice when I first put it on to boil. By the time the rice is done, the oil has had a chance to soak into the rice and turn a simple side dish into a gourmet treat. He’s not the only one that feels that way. 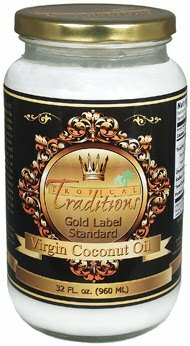 I couldn’t imagine returning to my days before discovering Tropical Traditions Gold Label Virgin Coconut Oil. And while I have enjoyed it in every dish I have used it in, my favorite way of using Gold Label Virgin Coconut Oil is still as a high-heat cooking oil. Since I first received it, my family has been eating homemade Chinese food much more frequently. Fortunately, I don’t mind a bit because I know that the food I make is healthier and more delicious than anything I could find in a restaurant. And now that I know just how wonderful Gold Label Virgin Coconut Oil really is, I will certainly ensure that I always have it in my kitchen, ready to make any recipe even better. Buy It: Tropical Traditions is offering readers a free copy of their Virgin Coconut Oil Book which includes over 85 recipes with any purchase. Enter referral number 5922598 at checkout to claim your copy. At the moment, our family is just too busy to embark on any type of major renovation project. As a result, the new baby is currently sleeping in a crib in the corner of our master bedroom and our oldest son Zackary is in the room we prepared for him when we first found out that I was pregnant. While it is a comfortable and functional room, it certainly doesn’t have designs and decor that are especially appealing to an almost four-year-old child. Painting or otherwise redecorating his room would ultimately be a waste of time and money, since at some point in the near future the baby will move into Zackary’s gender-neutral nursery room and Zackary will move into a “big boy room,” the presently undecorated and unfurnished third bedroom of our house. Yet even understanding that, I couldn’t help but wish that there were something I could do to make my son’s room a little more reflective of his unique personality. 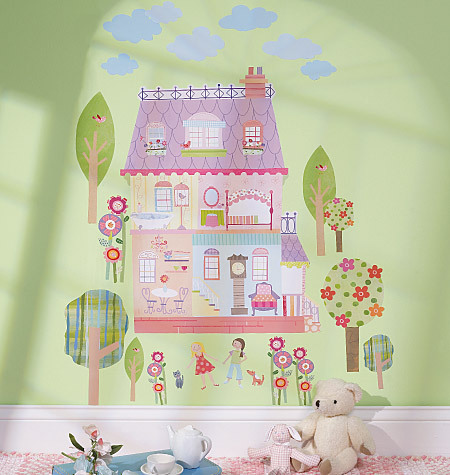 Enter Wallies, a wonderful company dedicated to providing innovative and reasonably priced wall decals, border cutouts, chalkboard decals and wall murals. Their brand new Wall Play Peel & Stick Decor looked like the perfect solution to my decorating dilemma, and I was thrilled when I was given a chance to put it to the test. 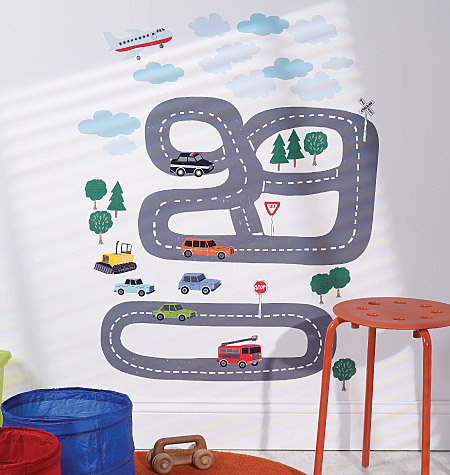 Wall Play Peel & Stick Decor consists of themed multifunctional wall decal sets that allow children to create their own unique designs. The decals are safe for most surfaces, leave no sticky residue and, best of all, are completely repositionable. Since the decals are designed to be removable, they gave me a perfect way to update my son’s room without altering the current style. As an added bonus, I will be able to move his Wall Play set from his existing room to his new room when he makes the switch! I chose the Around the Town theme for Zackary’s room. He has a passionate love of vehicles, and this fantastic set contains two roads, eight different vehicles, street signs, trees and clouds. I knew at once that Zackary would love being able to place the cars and trucks exactly where he wanted to create his own perfect mural. Sure enough, he immediately gravitated to that exact Wall Play set when he looked through the beautiful full-color catalogue. By the time the kit arrived he was giddy with anticipation. Because the road pieces were the largest and most essential items of the kit, my husband handled the task of positioning them on the wall. Rather than creating two separate roadways, he combined the pieces to build one large track for Zackary to play with. Once the road was completed, Zackary spent the rest of the afternoon carefully placing the trees, clouds, signs and cars exactly where he wanted them. When he was done, the mural looked absolutely fantastic and added a whole new character to his room. But the real fun came when I explained to Zackary that the pieces could be carefully peeled off and placed in a new location. For two solid days, my son lived in his room as he moved the vehicles from place to place on the road. While he did occasionally have to stop to get some instruction, (“I know they stick on your shirt, but you can’t put them there!”) for the most part he did a wonderful job arranging his cars. Being able to move them from place to place allowed him to use his imagination so much more than he would have with a stationary mural, and his unabashed pleasure with his Wall Play set was absolutely heartwarming. Though children are notorious for quickly losing interest in new toys, Zackary still rearranges his Wall Play pieces at least once a day. When I put him to bed each night, I never forget to glance over at his wall to see how he has arranged his vehicles. One day he stood on his bed to stick all of the clouds as high as he could reach, because “clouds belong in the sky.” On another occasion, he had each car placed carefully end-to-end along the road, and told me that the cars had had an accident. Whatever arrangement he settled on, one thing was certain. His wall was original, modern and completely personal. 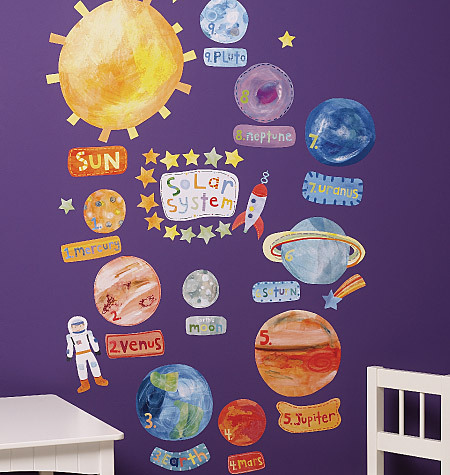 Wall Play Peel & Stick Decor has themes that range from Play Houses to Alphabet Fun to the Solar System. Whether a child wants to measure their growth or master their U.S. states, Wallies offers a Wall Play set that will completely satisfy their requirements while making their room look great. If all goes as planned, Zackary will be moving into his new bedroom sometime this summer. While the paint, borders and furniture will all be different, I know that the Wall Play set is one thing will flawlessly make the move from Zack’s old room to his new one. What’s more, I know that he would never voluntarily leave his current room if it meant leaving his Wall Play decals behind. Fortunately, that’s not a sacrifice he will have to make. 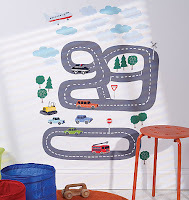 The fantastically functional Wall Play Peel & Stick Decor is fully capable of moving to any location in our house. Any product that combines a child’s happiness with a parent’s desire for functionality is guaranteed to be an extraordinary choice. After all, nothing makes a parent happier than a happy child! As a fairly typical woman, I’m sure it comes as no great surprise that I absolutely love cookies. I don’t, however, generally like store-bought cookies. I was happily raised on home baked treats, and the taste of the heavily processed snacks that most grocery stores sell is almost completely unpalatable to me. Unfortunately, with two kids keeping me busy in the house, finding the time to whip up a batch of cookies is almost impossible. Luckily, just as I was lamenting my lack of sweets, I was given the opportunity to review the scrumptious treats made by Late July Organic Snacks. Late July Organic Snacks was the brainchild of Nicole Bernard Dawes and her father Stephen F. Bernard, the creator of Cape Cod Potato Chips Inc. and Chatham Village Foods Inc. The Bernard family’s companies had always been dedicated to providing the best tasting all natural snacks on the market. When organic ingredients became more readily available, Nicole and her father joined together to create Late July Organic Snacks. The company offers USDA certified organic products including crackers, regular and mini sandwich crackers, organic sandwich cookies and their newest product, mini sandwich cookies. 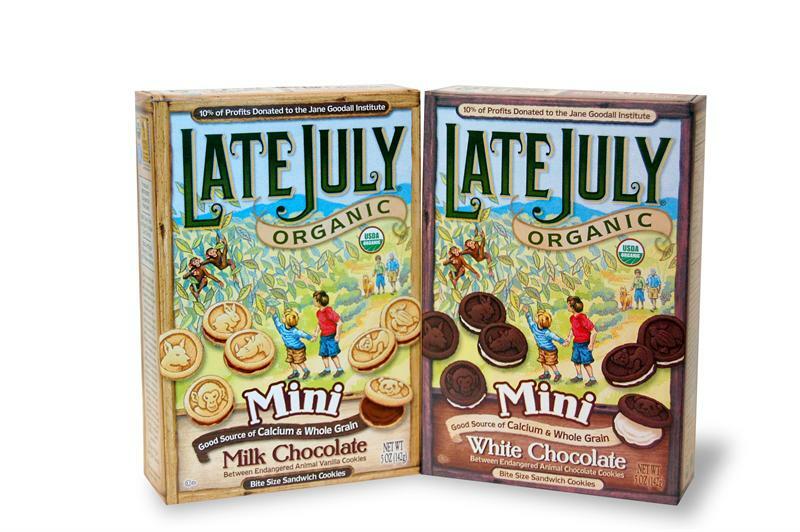 Late July Organic Snacks’ delectable mini sandwich cookies come in two lip-smacking varieties, Mini Milk Chocolate and Mini White Chocolate. These cookies were a labor of love created by Nicole and her two young sons. The end result is a small and sweet sandwich cookie with a big meaning behind it. The cookies feature images of seven different endangered animals, and 10% of the proceeds are donated to the Jane Goodall Institute. It was obvious that these cookies had a wonderful purpose, and I couldn’t wait to see how they tasted. The first flavor my family tried was the Mini White Chocolate Sandwich Cookies. With mouth-watering white chocolate between mini whole grain chocolate cookies, these treats sounded completely sumptuous. I shared them between my husband, my son Zackary and myself eagerly. I was smiling even more when I saw that a standard serving of ten cookies contains 8g of whole grain and ten percent of the recommended daily calcium intake. Knowing that the treat my son was enjoying so much contained only wholesome organic ingredients made me feel so much better about giving him a snack. In fact, he enjoyed these cookies so much that I saved the rest of the box for him to take for his playschool snack. While he had often come home with half-eaten snacks previously, he never failed to finish his Late July cookies. The Mini Milk Chocolate Sandwich Cookies were just as delicious, with milk chocolate sandwiched between bite-sized vanilla cookies. Because I have a deep love of white chocolate, I would say overall that the white chocolate cookies were my favorite, but both varieties were absolutely delicious. They are also a great choice for children since they contain no trans fat, no hydrogenated oils, no high fructose corn syrup and no artificial flavors, colors or preservatives. The taste of these cookies alone was enough to ensure that I will be making them a staple in my kitchen. When I combine that with the healthy benefits, ethicality and support for endangered animals, Late July Mini Sandwich Cookies are an all-around winner. After all, we all deserve to indulge in a few treats now and again. Thanks to Late July Organic Snacks, indulgence is guilt-free and completely satisfying. I…am a hair klutz. Growing up as the oldest daughter of a short haired mother, I had nobody to turn to when I wanted to style my hair and, as a result, my hairstyles have all been chosen through lengthy trial-and-error processes. Now that I am enjoying the busy joys of motherhood, my hair is pulled back in a ponytail for about 364 days of the year. Functional, but oh so boring! Yet as much as my ponytail bugged me, I had neither the time nor the skill to change my look. Misikko, a company that specializes in salon-quality styling products ranging from hair dryers to curling irons to flat irons, recently gave me the chance to review their Hana Professional Flat Iron 1” in pink. 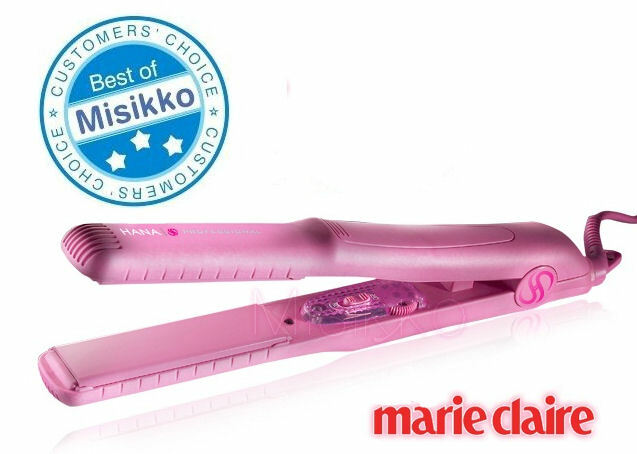 Misikko’s expert line of Hair Straighteners includes Chi Flat Irons, FHI Flat Irons and the always-popular Hana Flat Irons. Since my hair styling experience is so limited, I was more than ready to dive in and see what this flat iron could do for my ho-hum look. When the flat iron arrived, I was beyond excited. I quickly cut the tape and pulled the box open. When I looked inside, I was absolutely blow away. Misikko’s commitment to the customer is unbelievable, and nothing makes that fact more obvious than the care they put into packaging their products. The box was stunning, with the flat iron tin carefully arranged below the ribbon adorned complimentary heatproof pouch and silicone mat. A light pink artificial rose on the very top completed the look and completely satisfied my feminine soul. I quite literally unpacked and repacked the box at least three times on the day I received it just so I could have the continuing pleasure of opening it to stare inside. The next morning, I leapt out of the shower ready to try the flat iron that was ranked one of the Best Flat Irons on the Misikko site. I used the iron on my slightly damp towel-dried hair and followed the instructions in the accompanying book to choose the correct heat. My hair is quite healthy and absurdly thick, so I chose the maximum setting of 450 degrees. I used the styling tips in the instruction manual to attempt a simple straight hairstyle with the ends flipped out. The triple level LED indicator light gave me some initial confusion before I found the literature explaining it. When the iron is first turned on, the red light is steady. The light flickers when the appropriate heat is reached and turns off completely when the iron is lowering its temperature. Once I understood how the indicator light worked, I realized how quickly this iron heats up for use. In mere minutes, the iron went from completely cold to the desired temperature so that I could start styling my hair almost immediately. I loved the way that the iron dried my hair as it smoothed and straightened it to complete my look with one simple tool. The flipped ends were easy to create by simply turning the iron up at the ends of my hair and holding it for a few extra seconds. It gave my hair a swingy look and a little extra oomph that I really enjoyed. And one of the most fabulous features was the way that I was able to go from damp hair to finished look in only about 20 minutes! Considering how much hair I have, I was incredibly impressed with how quickly I was able to complete my style. The lightweight Hana Professional Flat Iron 1” offers an impressive list of features that includes a two year warranty, floating plates that automatically adjust to different hair textures, curved plate edges for versatile styling and tourmaline and ceramic for accelerated ion generation and maximum frizz-free, conditioning shine. Far from simply straightening, the iron can be used to create waves and soft curls as well. Its versatility makes it a great choice for hair of any type or texture. I have tried a few other styles with the Hana Professional Flat Iron 1” since my first successful attempt, and I absolutely love how easy it is to experiment with my hair. I have used the flat iron to flip my ends both in and out and even created some loose curls. My husband and I have an anniversary coming up, and I am already trying out some different looks with my Hana Professional Flat Iron 1” so that I can choose my favorite style for our big night out. The best part is that I have finally shaken off the elastic shackle that held my hair hostage for so long. Of course, there are still some days when my hair stays pulled back in the old tried-and-true ponytail. But thanks to Misikko, there are just as many days when my hair is down, free flowing and fashionable. I’m still a long way away from being any kind of an expert…but at least I’m not the hair klutz I once was. The Hana Professional Flat Iron 1” has taken my hair from so-so to stylish, and I couldn’t be happier! I have a strong aversion to chemicals in all of their forms, so I am constantly looking for ways to replace the chemical products in my household with natural or less harmful alternatives. Whether it’s using vinegar to clean my windows or old coffee grounds to scrub my sinks, I am always willing to try a new method of cleaning if it means that I can eliminate a chemical. Mystic Wonders Inc. offers one of the trendiest cleaning products I have ever come across. The company sells the Complete Laundry System, which contains one Wonder Laundry Ball and two Wonder Dryer Balls and promises to easily and efficiently clean and soften clothing without the use of any detergent or softeners. It sounded almost too good to be true, so I was intrigued and excited when I was given a chance to test Mystic Wonders Inc.’s claims for myself. The Wonder Laundry Ball is a safe PVC/vinyl housing that has been filled with a frequency enhanced mineral blend. The motion of the washing machine agitates the mineral blend, and as the minerals strike each other they create an energy field that dissipates the surface tension of the water. In layman’s terms, the energy generated by the ball makes the water thinner. The water is then better able to penetrate the fibers of the clothing to clean it so that laundry no longer needs detergent. The instructions that came with the Wonder Laundry Ball recommended spot treating stains with diluted shampoo or dish soap and then washing as normal. I’m definitely not incredibly thorough about treating stains, but even with my inconsistent stain treatment clothing seemed to come out just as clean as it did using detergent. What really impressed me, however, was how effective the ball was at removing odors. I confess that when I first threw a load of clothing into my washing machine with nothing but a yellow vinyl ball to clean them, I was fairly skeptical about what kind of results I would get. But when I pulled the clothing out of the washing machine, it was clean, fresh and completely odorless. Considering how many different types of dirt my family’s clothing is subjected to, I was blown away by how well the Wonder Laundry Ball removed odors of sweat, chemicals, grease, food and baby messes. My town has a couple of issues when it comes to its water that have always made it difficult to properly clean clothing. The water is unbelievable hard and it seems to smell of mildew very quickly if clothing is not dried almost immediately. I was amazed to notice that when I used the Wonder Laundry Ball, clothing not only came out as clean as if I had used detergent, but also no longer smelled of mildew if I forgot to put it in the dryer right away. I am now wondering if the mildew was actually caused by my detergent all along. My husband is incredibly sensitive when it comes to the smell of mildew, and has often insisted that clothing I found completely inoffensive be rewashed repeatedly to remove the odor. I would never have believed it, but since I started using the Wonder Laundry Ball, he hasn’t asked me to rewash a single load of clothing. The instructions included a cautionary note about not overfilling the washing machine, so I did make sure that I put in about a third fewer clothes per load than I had in the past. The extra water is a small price to pay, however, when I consider that I no longer need to use detergent, bleaches or repeated washings to remove mildew. The website also states that once you get all the old layers of detergent and fabric softener out of your clothing, you can fill the machine like you have in the past. I plan to test this in the future by gradually increasing the size of my laundry load. Best of all, the Wonder Laundry Ball remains effective for three or more years of use! The Wonder Dryer Balls are a simple set of two PVC/vinyl balls with small nubs on their surface. When placed in the dryer, they redistribute the heat and keep clothing separated to speed drying time and naturally soften clothing. I found that while the balls didn’t quite cut my drying time in half as some users reported, they did decrease the time significantly. A regular load of clothing that previously took 65 minutes to dry now takes only 40 minutes with the Wonder Dryer Balls. A heavy load of towels that used to take me just under two hours to finish has been cut back to just over an hour. The balls are designed to last a lifetime and, considering today’s energy prices, I couldn’t be happier to have them! All in all, the Complete Laundry System far exceeded my expectations. Being able to wash my family’s clothes without detergent is wonderful, and the long life of the ball makes it fabulously economical as well. When you combine the fantastic cleaning power of the Wonder Laundry Ball with the unbelievable energy savings from the Wonder Dryer Balls, you have a winning combination guaranteed to save you money in a great new eco-friendly way! I tend to be very careful about what I put on my skin when I am breastfeeding. Part of my concern is that anything I apply to my chest or any nearby areas will end up getting spread around and possibly ending up in my baby’s mouth. My other worry is that my body will absorb the harsh chemicals found in most commercial body lotions and perfumes, and transfer them to my milk. As a result, I tend to stop using perfumes, body lotions and when possible even deodorant while I am breastfeeding. As much as I love the sweet-scented products, I am just not willing to jeopardize my baby’s health for a perfume. So I was incredibly excited when I was given a chance to review the fabulous, all natural organic perfumes and body lotions of The Cream Perfume Company. The Cream Perfume Company makes eco-friendly products with fabulous organic ingredients and scent blends that have been created by master perfumers and local artisans from Grasse, the fragrance capital of the world. Their products are free of sulphates, phthalates, synthetic additives and synthetic fragrances. Their body lotions are vegan and gluten free, and their perfumes actually contain only three components, beeswax, sweet almond oil and the perfume blend. For a perfume-loving, chemical-fearing woman like me, these products were a dream come true! For the first time since giving birth to my son, I was able to slather myself with a rich and hydrating scented lotion without worrying about what my baby might consume as a result. The coconut lotion added an immediate touch of summer to my day with a potently realistic scent that lasted right up until the evening. The lavender lotion is quite possibly the most relaxing moisturizer I have ever used. I love to put it on right out of the shower to lock in moisture and maximize the lotion’s already formidable lasting-power. When a busy day starts to take its toll, I know that if I stop and take a few deep breaths the soothing lavender scent will ground me and help me get back on track. The solid perfumes were another sensual delight. The perfumes are packaged in gorgeous wooden pots that are eco-consciously produced from residual Canadian birch. Because the perfumes are not diluted with ethanol and because of the extra moisturizing benefits of the beeswax and sweet almond oil, the scents quite easily last from early morning until late at night. I received three sample scents from The Cream Perfume Company’s extensive collection, Mimosa Bouquet, Ylang Ylang D’Amore and Raspberry Des Champs. I fully expected to love the raspberry scent, and I was not disappointed, but the real surprise for me was the floral scents. I have two major problems with floral perfumes. First of all, I find most floral scents tend to give me a horrible headache. Secondly, I just don’t much care for floral scents. I was thrilled to discover that neither of the floral perfumes I received triggered my scent sensitivities. Even better, I absolutely adore the scent of both of these perfumes! The light floral and fruit notes blend absolutely beautifully with the darker undertones like vanilla and musk to create two completely unique deep and complex scents that I just adore. 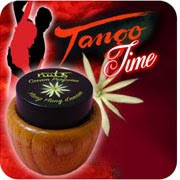 The Ylang Ylang D’Amore is my favourite of the three perfumes I received, and I have adopted it as my signature scent. I can’t help but wonder if my previous problems were not with the floral scents, but were instead with the chemical components of commercial floral perfumes. After going so long without perfume, I feel like I’m in heaven with these safe and fabulous scented products. Any woman that is concerned about the harsh ingredients in most scented body care items owes it to herself to discover the wonderful products of The Cream Perfume Company. And if you don’t usually care for floral scents, I highly recommend giving these floral perfumes a try. The great selection, eco-friendly ingredients and sensational scent blends make The Cream Perfume Company a great choice every time! As an avid reader, I have been fostering a love of literacy in my sons since they were born. When I found out that I was pregnant with my first child, I began reading aloud to the unborn child from whatever book I was currently immersed in. After I gave birth, I started reading children’s stories to my new baby almost immediately. And now, as he approaches his fourth birthday, his love of books is rock solid. Yet as much as he loves to have me read to him, he sometimes tires of the same old stories about unknown children and talking animals. MJM Books, a company that loves literacy as much as I do, have made it their mission to create a set of books that no child will ever tire of. 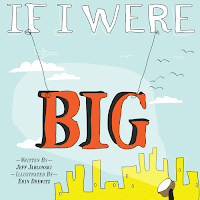 Founded by brothers Mike, Jeff and Matt, MJM Books was born when Jeff was inspired to write a story entitled If I Were Big that featured his niece Olivia as the main character. Other parents were soon clamoring for books starring their own children. Before long, an entire collection of personalized books had been created. I was lucky enough to be able to review one of these fabulous books with my oldest son, Zackary. I chose A Day at the Park for my son’s book. What makes MJM Books so unique is that in addition to Zackary’s name appearing in the book, I was able to specify his hair color, eye color and skin tone to create a composite “Zackary” character that appears in his story as well. 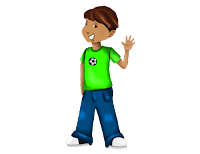 Unlike many personalized books that simply insert a child’s name into the text, MJM Books actually places the child right in the story both textually and visually. They also allow the gift giver to write a special message that appears at the beginning of the book. When A Day at the Park arrived, Zackary and I were both incredibly excited and rushed home to read it immediately. When we opened the book, the title page read “A Day at the Park starring Zackary,” with a picture of his personalized main character. My son was elated! The very first thing he commented on was the character’s age. “How old am I, Mommy?” he asked me excitedly. The main character appears to be about seven or eight years old, and Zack was delighted by the thought that he was reading about himself when he gets bigger. The book chronicles the adventures of the main character as he uses his imagination to transform an ordinary playground into a child’s wonderland full of dinosaurs, pirates, knights and lava. A Day at the Park is a whimsical celebration of the magic of childhood, with enchanting rhyming verses and vivid illustrations that add a wonderful appeal for children of all ages. On one page, the main character swings on monkey bars over a lava-filled pit as one of his shoes falls off. My son cannot get to this section of the book without exclaiming, “Oh no, Mom! Look at my shoe!” Despite the fact that we have now read this story dozens of times, he remains as fascinated by the actions of his main character as he was when we first opened the book. That, in a nutshell, is the magic of MJM Books. Because my son is the star of the story, he never tires of studying the illustrations and asking questions about his adventures. 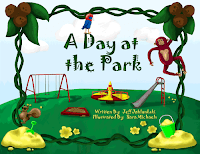 A Day at the Park inspires Zackary to use his own imagination as he places himself into the situations of the book’s main character. MJM Books would make a fabulously unique gift for children’s birthdays or any other special occasions. They are also a great “just because” present guaranteed to make any child feel especially important. After all, any book that promotes both literacy and imagination is a sure-fire winner!